Farr's Grove is a must stop on our classic Wisconsin fish fry tour. Don't expect much in the way of presentation, you'll get your food at a standard table and on paper plates, you can even eat at the bar if you choose. Drinks are standard fare and they do offer the brandy old fashioned, but it is not muddled. Wait time wasn't so bad, but this place can get busy. Once we sat down, the waitress took our order, kept us stocked on drinks, and the food came out quickly. The fish was really good, breading was just about right, and the portions are decently generous. I got the homemade potato salad, and it was delicious, as was the homemade vineger based cole slaw. 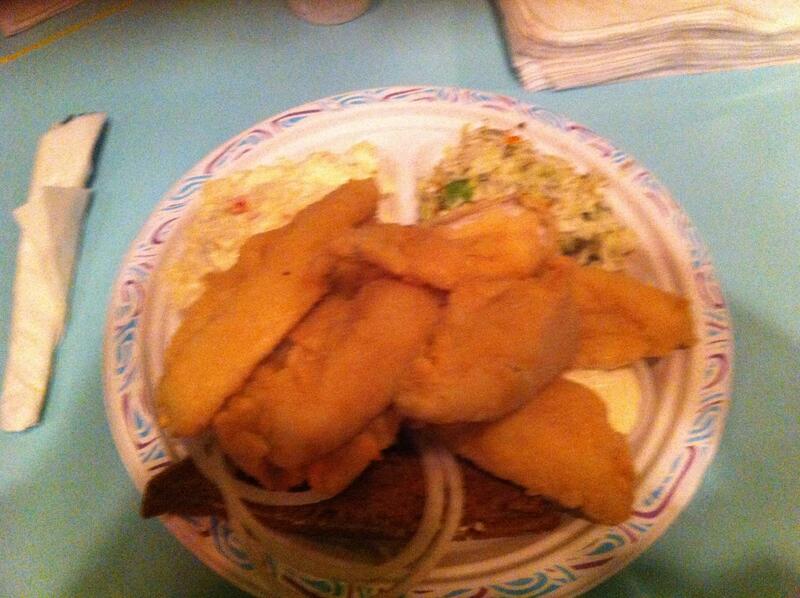 And the rye bread with raw onion, always a treat at any classic Wisconsin fish fry establishment. Farr's Grove is on my short list. Make a point to check them out. Not good. Really not good. It was good in 1967 but not know.